I don’t do “sponsored posts”…though that is not what this actually is. A sponsorship would imply that some sort of palm greasing has taken place and…it hasn’t. I got a lovely email from a lovely woman named Abra who just happens to do a bit of writing for a resort in Hopkins, Belize. One I’ve never visited. She was very enthusiastic about writing a post and had a few suggestions. I have been interested in Destination Weddings in Belize for a while…spurred on by the fact that I get ALL kinds of questions from brides, potential brides, honeymooners and even grooms. Her suggestion of a wedding checklist was perfect. Here is what she sent me. And based on the website and pictures of Hopkins Bay Resort? I wouldn’t mind visiting Hopkins again…soon. Hopefully this is just the start of much more wedding stuff to come. Who knows? I could become a regular Martha Stewart (sans the prison time). If you are inspired by destination weddings, then you have come to the right place. Destination weddings are beautiful, idyllic and ultimately relaxed. Planning a destination wedding, however can tend to be less relaxed than the day itself. It is well known that planning a wedding is never a walk in the park, but planning a destination wedding isn’t always a walk on the beach either. But with this wedding checklist we aim to help you plan your destination wedding to Belize, so it goes without a hitch (or at least, the right kind of hitch!). * What Belizean destination do you want? A beach, Mayan ruins, on a boat? * Get a folder – Keep everything in one place. * Organise or delegate the travel of your guests – Doing this advance can save you worry and money! * Ask for your marriage license form to be faxed to you, so you can fill it out before you arrive. * Choose a breathable, comfortable fabric for your wedding dress and your bridal party. * Photographer – Local photographers will be able to provide valuable experience when it comes to lighting as well as knowledge of the area and best spots. * Food – There are many talented chefs in Belize and beautiful traditional catering is offered by many hotels as part of their wedding packages. * Music – Local musicians are usually available upon request. Your resort should be able to help you by recommending, booking and organising your preferred entertainment. * Flowers – Belize offers a range of exotic flowers, this is something your resort will usually work with you to select and order. * Travel arrangements to present your completed form to the general Registry or Attorney General in Belmopan or Belize City and to register your marriage. This gorgeous photo taken by my friends at Conch Creative. Some of this may seem a bit scary, but don’t worry it is easier than it sounds. Most high quality resorts will work with you to arrange your wedding so the legal process can be nothing to worry about! 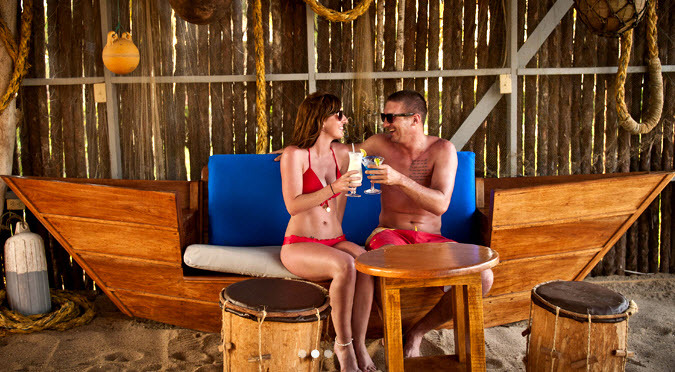 To learn more about what can be arranged with the help of your resort, why not visit this guide about Belize Weddings from Hopkins Bay Resort. And back to me, San Pedro Scoop – considering a wedding in Belize? 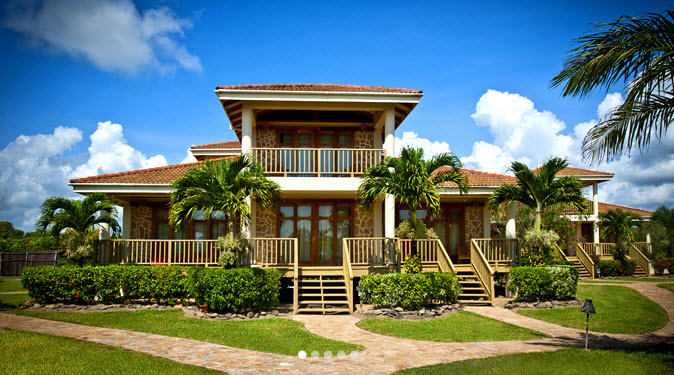 Have you already been married in Belize? Honeymooned? I’d love to hear about it! All part of a potentially bigger project…thanks! 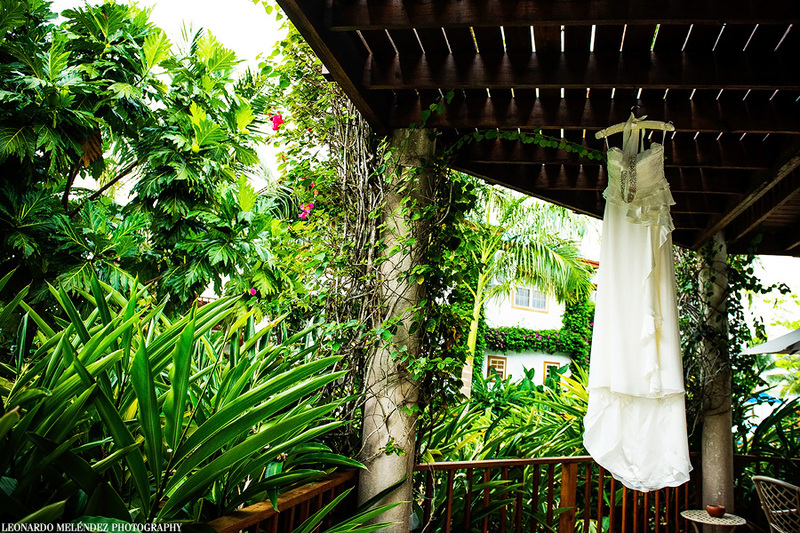 My Wedding In San Pedro, Belize – A Guest Post by Kelly! I did plan with someone local for lodging, legal paperwork, a pastor and a few other things. She took photos; fine snapshots , but not like ConchCreative can do. Honeymoon was exploring the mainland, from P.G. up to Belize City. For the family, we brought them to LobsterFest for our one-year anniversary. Here we are in 2008, with the pastor. We check in with him every year. That’s awesome…thanks for the picture, I love it.